Supports my joint and bone health and one of the best thing about this product is that it is sugar free. BONEJOY SHOTS supports bone and joint health. 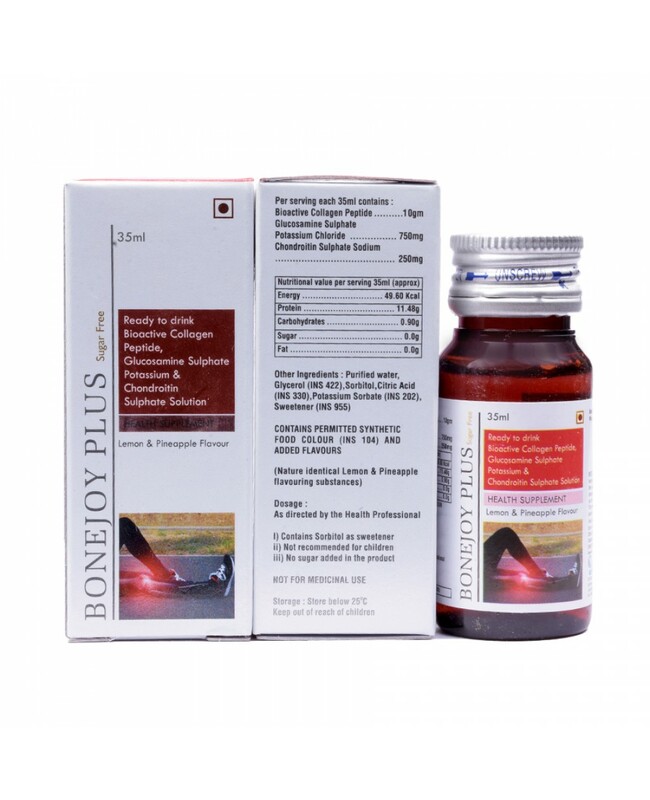 BONEJOY SHOTS helps in forming new cartilage and reduce joint pain. BONEJOY SHOTS increases the bone density and strength. BONEJOY SHOTS smoothens the ligament and enhances joint flexibility. BONEJOY SHOTS supports digestion and satiety. BONEJOY SHOTS helps in maintaining balanced hormones. BONEJOY SHOTS also helps in maintaining skin health. BONEJOY SHOTS delivers benefits which overlaps BONEJOY SACHET in terms of its administration and ready to use dose. This benefits especially those patients who find it tough to prepare a firm consistency of the sachet powder into a liquid or are even not comfortable with milk. The BONEJOY SHOTS are ready to be administered and provides easy dosage during travel/ journey and though maintains hygiene. The packing of BONEJOY SHOTS delivers portability and are able to bare sheer pressures in variable temperatures and moisture contents. Help with cartilage formation and repair. It helps to overcome osteoarthritis.